Karina Borowicz is the author of two poetry collections, Proof (Codhill Press, 2014) and TheBees Are Waiting (Marick Press, 2012), which won the Eric Hoffer Award for Poetry and was named a Must-Read by the Massachusetts Center for the Book. Her poems have appeared widely in journals, and have been featured in Ted Kooser’s American Life in Poetry series and on Garrison Keillor’s Writer’s Almanac. Trained as an historian, Borowicz also holds an MFA in Creative Writing from the University of New Hampshire. She makes her home in the Connecticut River Valley of Western Massachusetts. 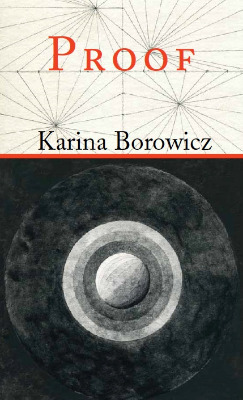 Visit her website at karinaborowicz.com. I had a few books of poetry for children when I was young, and I read them over and over. What I liked even better, though, was poking around the poetry books written for adults we had lying around the house, mostly anthologies of older stuff—Blake, Keats, Coleridge. Robert Frost featured prominently on our bookshelves when I was growing up, too. But when I was in high school I discovered a whole new world when I acquired a beat-up copy of The New American Poetry anthology, edited by Donald Allen. The collection was focused on postwar American poetry and included the New York School, the Black Mountain poets, and the Beat Generation. For a kid coming from a more traditional place, it was mind-blowing. Although I’ve matured a lot since then—as a writer and a person—it’s when I really started connecting with poetry. I write five days a week early in the morning, usually working on the same poem throughout the week. Without that routine I don’t know if anything would get written. I don’t wait for inspiration to strike. That’s what the little notebook in my pocket is for—the sudden flash of insight or image that might serve as the basis for a poem later when I sit for my daily writing discipline. For a long time I wrote at the kitchen table or used a portable lap desk somewhere else in the house, but recently I got a beautiful oak roll-top desk. I’m finding it’s nice to have a designated work space. Poems often come from something I’ve witnessed, read, or experienced. It’s not an intellectual process for me, however. I like to say that something has to cease being an idea in my head and become a feeling in my gut before it becomes a poem. Inspiration is always fragmentary, of course, and often needs a great deal of work to be fleshed out, given life. There are bits of memory and turning round and round inside me like sea glass. Or I’ll see an image, either in the world or in my mind’s eye, sometimes an evocative juxtaposition of seemingly disparate things. A lot of the work of building a poem is, for me, about making connections. Emily Dickinson, for her compression and surprise. Charles Simic, with whom I was incredibly lucky to have studied. Jean Follain, for his poems that take place in a crowded moment. Tell us a little bit about your new collection: what’s the significance of the title? are there over-arching themes? what was the process of assembling it? was it a project book? etc. After my first book, I concentrated on writing poems, honing them, and publishing them in journals before I started thinking about bringing them together in a second book. I started assembling Proof when I felt I had enough strong poems to build a collection. In the initial stages, that was the driving force. After I felt there was enough good material there and that I had paid enough attention to getting them out in journals, I spread a few years’ worth of writing out on the table and just started going through it, with an eye for quality, recurring themes, contrasts—basically looking for a center of energy around which to build a book. After a while, that starts to come out and you find your core. Arranging around that core becomes the important thing. My manuscript went through different arrangements and titles before it found its balance, thanks in large part to Codhill Press’s fantastic editor, Pauline Uchmanowicz. Although the writing process for this book didn’t originate in a specific project or concept, a project can become apparent in the assembly stage, the stage of finding the book’s core. For me the book’s title, Proof, came from that. This notion of absence and presence, and presence even in absence; of invisibility, of the secrets that the visible both hides and hints at—the poems keep circling these ideas.